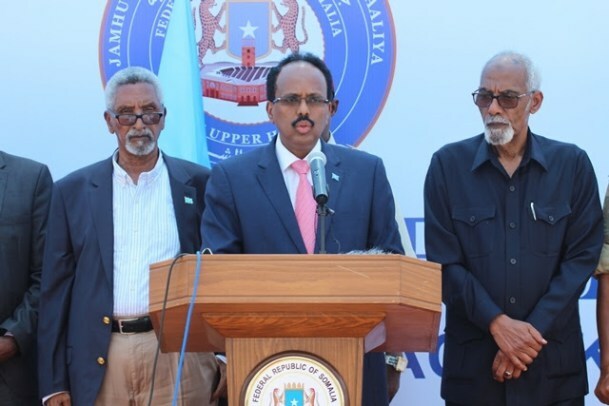 President Mohamed Abdullahi Farmaajo has opened the second parliamentary plenary session of the Upper House of the Somali Federal Parliament. President Farmaajo urged members of the upper house to take the lead in ensuring delivery of services aimed at achieving development goals and plans. The president in his address underscored the key objectives that the house must prioritize in this parliamentary session including political dialogues and consultations, as well as defining the sharing of powers and responsibilities between the central government and the federal states. The president further urged both houses of parliament to strengthen their relations and cooperate as stipulated in article 56 of the provisional constitution.